Grant recipient Joshua Tiktin speaks on the founding of MASS district and how he's using the additional support to boost Fort Lauderdale's art scene. 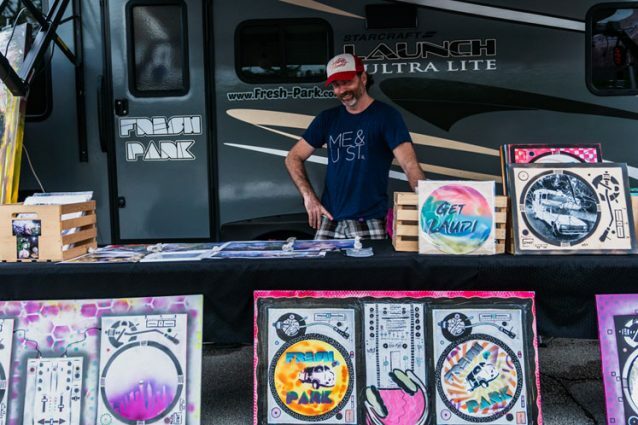 Joshua Tiktin with his most recent vinyl record art campaign "Get Laudi". Photo by Jonathan with DevKnight and Vianka with von Hexon media. 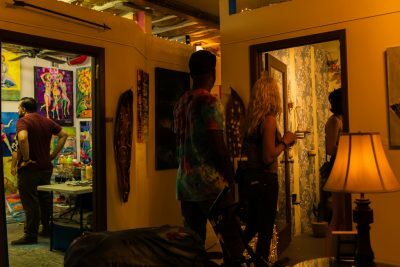 About three years ago the MASS (Music and Arts South of Sunrise) district area was just starting to gain traction in central Fort Lauderdale after one of the founders, Joshua Tiktin, decided to open a multipurpose gallery in the uncharted area. North of FAT Village art district, MASS is responsible for opening a whole new area of creative opportunity. 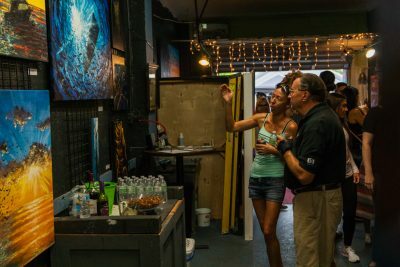 With dozens of unique business partners occupying retail spaces, painted walls dripping with artistic talent and the welcoming energy of the monthly art walk it’s easy to become inspired. Tiktin is a South Florida native who, after decades living up north, found himself settling down in Fort Lauderdale. Tiktin was searching for a place that not only complemented his artistic mindset but offered opportunities for growth. He was hooked on the Fort Lauderdale scene after realizing the potential of the variety and liveliness that this city has to offer. As a grant recipient of the Creative Investment Program, one of Broward Cultural Division’s grant programs supporting local artistic projects, Tiktin was recently chosen as one of seven local artists to benefit from a $35,000 award to the Cultural Division from the following Funds at the Community Foundation of Broward: Fonda and H. Wayne Huizenga Jr. Family Trust Fund, Gary J. Scotto Fund and Mary and Alex Mackenzie Community Impact Fund. The additional funding will be used towards the marketing budget and administration fees of hosting the monthly art walks. “I was looking for a space to rent out and I saw a speck of action right around 4th Avenue, I thought: this could be something,” Tiktin said, referring to the area now considered MASS district. “A few months later we [the founding members] got together, voted on the name and started building up the art walks.” He’s referring to the Sailboat Bend Art Festival, Flagler Village Art Walk, and encompassing art markets that have been expanding over the area for the last few years. The last Saturday of every month is the day to visit, August 25th and September 29th are the upcoming ArtWalks where about 2,000 South Floridians, regardless of occupation, will fill the streets and come together to celebrate creativity. People want to experience the artistic side of life and MASS district, a bubbling hub of creative energy, is eager to provide it. Tiktin makes note of the hard work and effort that goes into advocating for creativity and the good of the City; plans are in place to expand and add more events in the same area. In the future look out for something called the ‘Funky Flea,’ which will act as a marketplace for those looking to sell anything from ordinary objects to unique treasures. 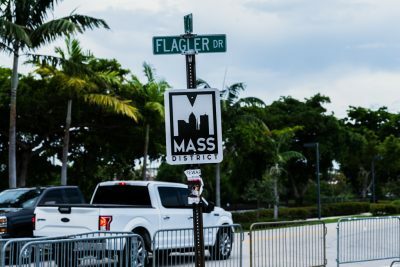 The success and growth of MASS district and areas like FAT village are not only a product of the artists but of every resident or visitor that has experienced the culture in the community. “At first, I wanted to give myself an opportunity to get out there as an artist and musician. Now, I get to give the opportunity to other creatives which is the most fulfilling.” Tiktin says, “This is something that builds the whole community and brings unity to the area. The people that come, I think they need it too.” He notes that this is one reason why the support provided by the Community Foundation and the Cultural Division are respected and appreciated. Building the community is more than having good intentions, it’s having the means to reach out and make these intentions known. The cultural impression that MASS district has left on each visitor and vendor continues beyond the events and will go on to reach thousands more with support from the grant provided by the Cultural Division and the Community Foundation. 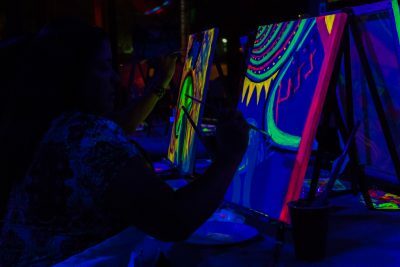 There will be around 30 different artists including sculptors, live bands, live artists, art battles, jewelry designers, various galleries and food trucks for the entire community to explore.